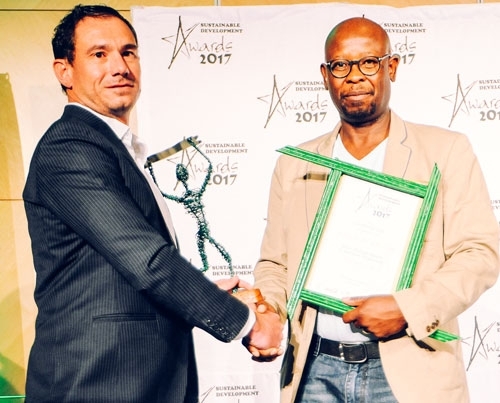 For their innovative waste management and recycling programme, Rent-a-Drum was crowned the Best Established Company in their category, at the 2nd biannual Sustainable Development Awards which took place last week in Windhoek. Rent-a-Drum and Ohorongo Cement collaborated and managed to produce the first Refuse-Derived Fuel Processing plant in the country. The event also saw other companies, individuals and associations share a total of N$172,000 in prize money across 10 categories. Over 90 entries from the local business community, academia and youth entities were received in this edition of the awards, eclipsing the previous number of 14 that was recorded in 2015. “I am pleased to inform you that we are continuing to improve and grow these awards. This is evident in the increased number of entries we have received and in the additional number of partners and sponsors that have come on board for this year’s Awards,” said Ms. Martha Naanda, Vice Chairperson of the Sustainable Development Advisory Council in her keynote address. She also emphasised the deliberate approach of broadening the nature of the awards beyond environmental issues only so that they also take social and economic issues into greater consideration in line with the focus of the Sustainable Development Goals, adopted globally in 2015. The Awards also recognised Young Achievers Empowerment project as the winner of the Youth Action for Sustainable Development for their region-wide programme. “They are an active and well-connected organisation that brings together a diverse group of young locals, empowering their communities to drive a range of sustainability programmes,” she added. 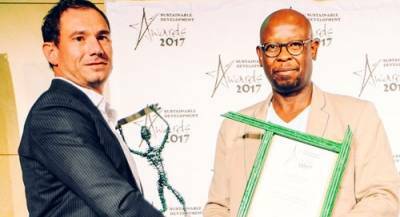 Meanwhile, the CEO of the Environmental Investment Fund of Namibia, Benedict Libanda, said the world faces massive threats from environmental degradation, including pollution and climate change, hence the need for action at every level from the local community, businesses, journalists, and global commitment to address the threats. Best Television: Blanche Goreses; Runner-up, Adolf Kaure.